It was pretty easy to see the glut in residential property in Johor being created over the last few years, and I wrote about several times: The Potential of Iskandar is Very High but Investing in Iskandar has Risks – Iskandar Housing Real Estate Investment Considerations (2011), Singapore Sprawl Fueled by Cheap Housing Resulting in Long Delays at Border (2014), Malaysian Real Estate Slowdown May be Taking Hold (2014). Downtown Johor Bahru with Danga City Mall (includes map) on the left (looking North-West). The long term prospects for Johor remain strong. Building on the advantages of being a suburb of Singapore has huge potential. Managing that advantage should provide huge long term benefits. Still in the residential building boom seems overdone and not balanced with brining in enough high paying jobs or improved transportation to jobs in Singapore. Iskandar Malaysia’s biggest property developer UEM Sunrise Bhd will focus on Peninsular Malaysia’s central region, as Johor faces a property glut and slowdown. Managing director Anwar Syahrin Abdul Ajib said the company would be shifting focus to the central and northern regions as well as overseas. “Right now, it’s a bit slow. There’s nothing to hide … everybody is feeling it. Some developers have already cut their forecasts, some are saying growth is stagnant while some say they’re going to do better than others last year,” he said. Anwar is targeting a lower sales of RM2bil this year compared with RM2.4bil last year as buyers are also finding it hard to secure loans from banks. “To tell you the truth, there are a lot of people who want to buy and we have a lot of bookings but they can’t get loans, so this is something that’s in the way. “We need to find a solution and talk to financial institutions and see whether they need to relax a bit in terms of letting people be able to purchase houses for investment purposes,” he explained. Malaysia should not relax lending standards. Property booms are followed by busts. Booms are most often triggered by huge investor demand made possible by lax lending standards. It is poor economic policy to stoke investor demand in real estate. This is a critical mistake when the rental market is weak, as it is in Johor. The luxury housing market is not supported by jobs in Johor. The only hope for filling the luxury housing are getting those with high paying jobs in Singapore and retires from Singapore and elsewhere to move in (which has been happening but not nearly at the rate of production of new units). And given the long delays in addressing the transportation problems until the MRT is extended it is hard to see much more room for increased commuting. Once the MRT is complete the Johor market should boom. Property development creates lots of economic value that can provide large rewards to those in power. When that pressure leads to stoking the fires of a boom the consequences will be felt in the economy very sharply once a bust develops. Johor needs to focus on attracting more high paying jobs and quickly improving transportation issues. Johor should be discouraging more luxury housing development at this time, not encouraging it – but it is hard to put long term economic prosperity above quick, short term cash. Few countries have done that well. Singapore is one that has and the future of Johor is tied to the success Singapore brings with that focus and how well Johor can show the same discipline Singapore has shown for nearly 50 years. I am from Singapore and in 2013, I bought a condo in Medini. It is still under construction. There is a condo called 1 Medini that was completed a few months ago. I was told by agents that it is extremely difficult to rent due to the slow market. Selling it even at the original price is impossible for now. The secluded location and lack of amenities/demand also make it extremely difficult. I am regretting now that I bought the condo without doing sufficient research. It was priced at about RM719,000 for 947 sq feet. My Malaysian friend told me it is too expensive and no Malaysians will buy it next time. I also realize most of Iskandar condos are bought by foreign investors. I can’t sell the condo now as there is no title deed given yet but I can return it. I am thinking of doing just that but I will lose my deposits and other fees. I wish to cut losses now rather than wait till another 8 or 10 years and suffer more losses. I realize now I bought the condo at a very high price. I am very doubtful I will be able to benefit from this investment. I appreciate your kind advice and help. Hope to hear from you soon. Thank you very much! Cut your losses. Bail Out. Rather than being caught with Bank Loan and 30 years of SUFFERING !!! What any individual should do is based on their whole investment portfolio, income, expenses, tolerance for risk, etc..
For investing advice I always caution people to be cautious and only take on investments they can absorb if the market goes against them. I don’t like being forced to sell when the market is very bad for investors. For that reason I normally don’t sell when the market is bad. Real estate is even more important to think of the long term because the market is not very liquid and there are high transaction costs. The market is pretty bad to sell now, as you know. So I would be reluctant to sell. However, if you get out when the market is a little against you but before it takes really bad move against you that can be wise. Or if you took on way more risk than you should have getting out before things go really bad can be wise. As I have been saying for years the oversupply of luxury condos in JB is really risky for investors for the short term (3-6 years). Longer term the prospects are much better but that case is based on Iskandar making the right moves, Malaysia working well with Singapore, etc.. It seems to me the long term prospects are good. But investors can likely wait years before they buy and still do very well. The JB market is largely speculative so it is possible people could bid up prices long before the economic justification for needing so many luxury condos is reached. But markets are fickle and it is likely there will be a rush to sell at some point at which time long term investors can buy cheap properties if they can hold them for years with the risk of not being able to rent them out. The way that great deals will be available is if investors get worried. The most likely way that will happen is if they just get more and more tired of the difficult rental market and there are other risks (like the periodic macro world level economic risks) that worry people. There are also other risks (such as even more delays in improving transportation between Singapore and JB, Malaysia level economic risk, Chinese investors fleeing the market…). It is a balance of risk and reward, I think in the long term that balance looks good for investors. But I think the next 5 years is really challenging to make rental income on luxury units. But if I owned units I would likely not be selling. I would likely be putting much more effort into renting than most owners and brokers do. There is much you can do if you really care and put in the effort. But you have to realize the market is against you, you need to seek out renters much more aggressively and from what I have seen with more brokers in JB they are not very proactive. They act like renters are lucky to be shown a place when in fact the brokers/owners should be treating customers very well and doing everything to make them happy. And also doing that to current tenants to make sure they are happy and stay. There is a reasonable market for expats but it is very poorly targeted. The internet is a great tool but few brokers/owners are doing well targeting them. It might very well be you have to take a loss on the rental rate. But it is much better to cover 80% of your costs than to cover 0 (if it is unrented) while you wait for the market to get better. And understand if may well take many years to become a very good investment (over 5 years maybe 10). Thank you so much for your useful advice. 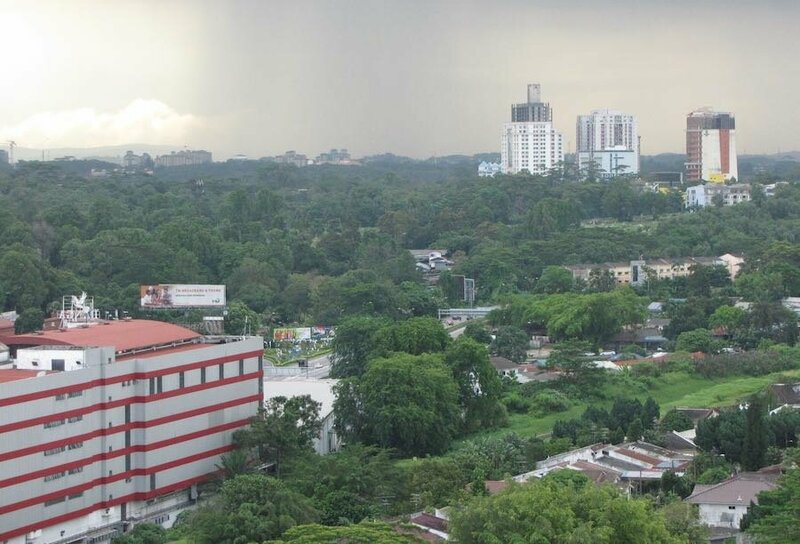 The concern with Iskandar for condo investment is that the market is largely untested. It’s different from the older condos that had capital appreciation. I feel that all the “luxury” condos located in Medini are priced so high because developers saw the buyers’ rush in 2013. In other words, the price increase was not due to the economy getting stronger naturally or an increase in employment. If an investor wait about 10 or more years for demand to get stronger, the condo will be considered old and even if there is capital appreciation, it may be difficult to find new buyers as they are likely to have other choices of new condos by then. Oh by the way, has it ever occurred in Johor where after a long period of about 8 to 10 years, property prices remain stagnant or even drop slightly from the original amount? Is it also true that even if a property has increased in price, it may not be easy to sell it at that price because it depends on whether a buyer can be found? I think this may happen especially in an oversupply market.